Opponents of the law will use the budget reconciliation process to ward off a filibuster. (Bloomberg Politics) — Senate Majority Leader Mitch McConnell championed a renewed push to bypass a filibuster and repeal the Patient Protection and Affordable Care Act (PPACA) with 51 votes on Tuesday, he announced in a joint statement with Utah Sen. Mike Lee, one of the most conservative Republicans in the chamber. The gambit is unlikely to succeed due to procedural roadblocks in the Senate, and even if Congress were to pass a full repeal bill President Barack Obama is guaranteed to veto it. But the issue is a flashpoint in the Republican presidential race, where candidates are facing questions about how far they’d go to repeal the health care law. Under “reconciliation,” the Senate may bypass the 60-vote threshold and make changes to the federal budget with 51 votes. The problem is that many parts of PPACA aren’t budgetary and will likely be ruled ineligible for repeal by the chair under reconciliation, Senate experts including Norm Ornstein of the American Enterprise Institute have said. One option is that Republicans adhere to the limits and repeal as much of PPACA as they can—taxes and spending provisions that construct critical components of the law would qualify. Democrats would vote no, but there are 54 Republicans, likely enough to pass a bill that substantially guts the health care law. 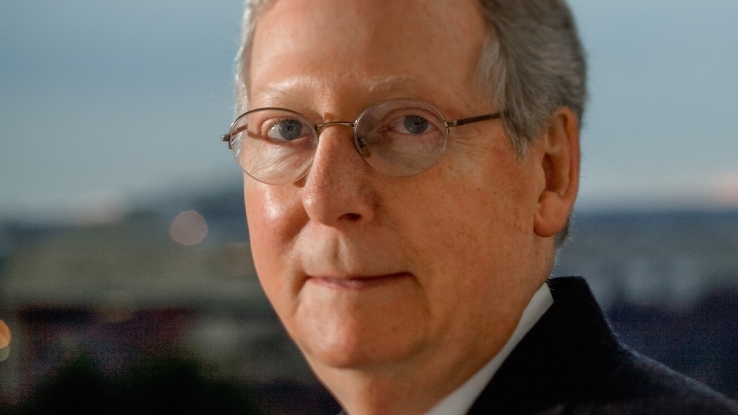 Don Stewart, McConnell’s deputy chief of staff, said that “as Sen. McConnell has said repeatedly all year, reconciliation provides the tools necessary to end Obamacare. You can’t get at every little piece, but the big parts are tax and spend.” He said McConnell has acknowledged that there are “limits” to what can be done under reconciliation. The second option is for Republicans to move to overrule the chair’s ruling, a rare move that would require 51 votes to pull off and effectively change a longstanding rule. This appears unlikely. As even Lee, who had been pushing to repeal PPACA even if it means altering some rules, is now steering clear of this option. The ongoing push reveals that Republicans remain devoted to undoing PPACA, even as some 17 million people have gained health insurance coverage under the law, according to a May estimate by the RAND Corp.